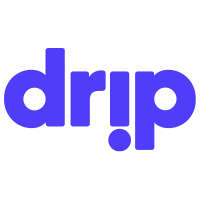 What is Drip’s copyright policy? Drip has adopted a general policy regarding copyright in accordance with the Digital Millennium Copyright Act of 1998. Drip will remove material that is the subject of a compliant DMCA takedown notice. Section 512 of the DMCA provides the rules for reporting copyright infringement and for filing a counter-notification. Drip may terminate a user account based on even a single infringement. If your Drip was the subject of a takedown notice, you can email a counter notification to copyright@d.rip. If you're not sure whether material on a Drip infringes on your copyright, please consult with an attorney before submitting a DMCA notification. Misrepresenting that material infringes on your copyright may subject you to liability for damages, including costs and attorneys' fees incurred by Drip creators or other parties. Drip reserves the right to forward all materials received (including full contact details) to the opposing party in the DMCA dispute. What happens to my subscription if the Drip I subscribe to is subject to a copyright dispute? Any material that becomes subject to a copyright dispute will be removed until the dispute is resolved or the DMCA process is complete. If a Drip or any of its contents are removed because of a dispute, you'll still be able to manage your subscription by going to the Drip’s page. If we aren't able to re-post the Drip within 30 days, we will cancel it, all recurring payments will end, and the Drip will be permanently unavailable. If, on the other hand, the dispute is resolved or the DMCA process resolves within 30 days, the Drip will be restored to public view. We’ll update you by email if any of these steps are taken.